There are variety of Karimunjawa island boat transfer options. 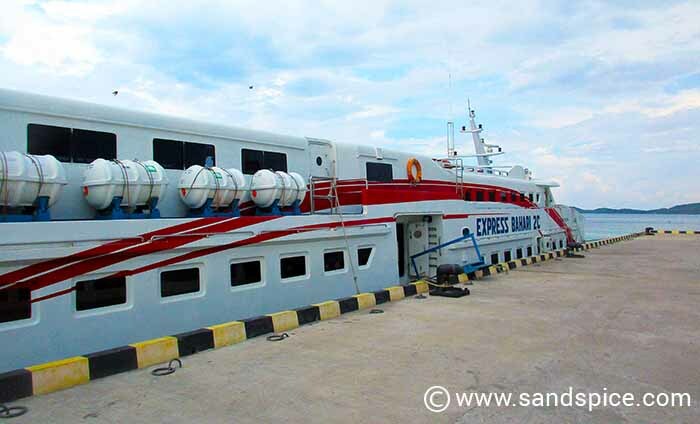 Most boats travel to and from Jepara, but depending on the day of the week you can also get boats to and from Semarang and Kendal (which is not too far from Semarang). However, you need to check the latest schedules. Not all boats travel every day to every location, and some days you may have just the one boat with a limited passenger capacity. From Jepara there are a number of slow boats and a fast boat. The slow boats take 6 hours and travel almost every day. The fast boats take only 2 hours, but travel less frequently. Since we were travelling on a Friday, we were able to take the fast boat from Jepara, for IDR 200,000 (€15) per person, one-way. 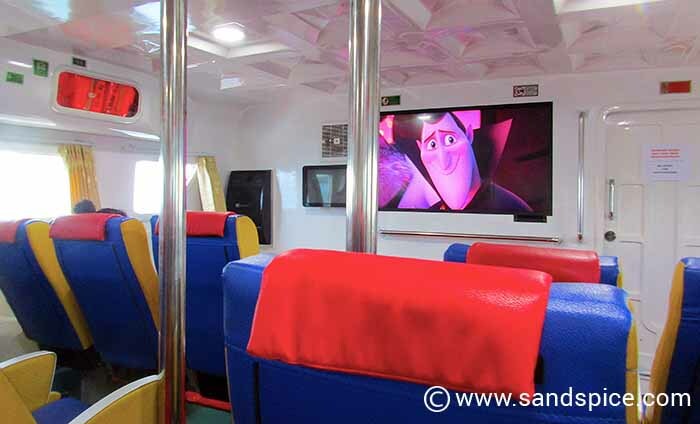 The boat was comfortable enough, with a movie showing. However, make sure you wrap up well since the air conditioning is set to freezing. 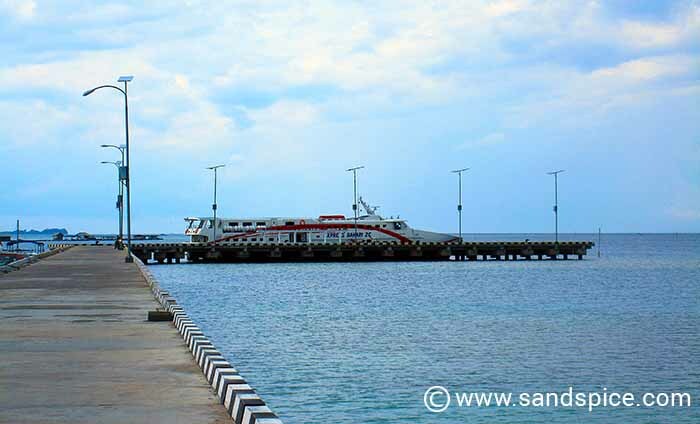 The boat leaves Jepara at 9am, arriving in Karimunjawa around 11am. Before boarding the boat, we were required to pay an ‘eco’ tax of IDR 50,000 (€4) per person. I suspect this tax is only applied to foreign tourists. For our return from Karimunjawa to the mainland, we took the Sunday 12 o’clock noon fast boat to Kendal. 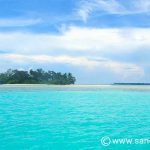 Karimunjawa island boat transfer – Enjoy the show! 2 hours before our departure from the island the sky darkened and the storm clouds rolled in. However, we were told that it takes 3 metre-high waves to stop the boats from running. Still, this is a factor to bear in mind when planning your return – especially if you have a flight to catch. 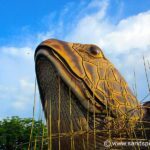 On arrival at the port in Kendal, you should find a minibus waiting to take you into the center of Semarang – actually they will drop you off anywhere you want along the way. Check here for up-to-date boat schedules. 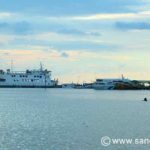 At certain times of the year you can fly in a small aircraft from Semarang to the tiny airport in the north of Karimunjawa. The flight time is just 30 minutes. 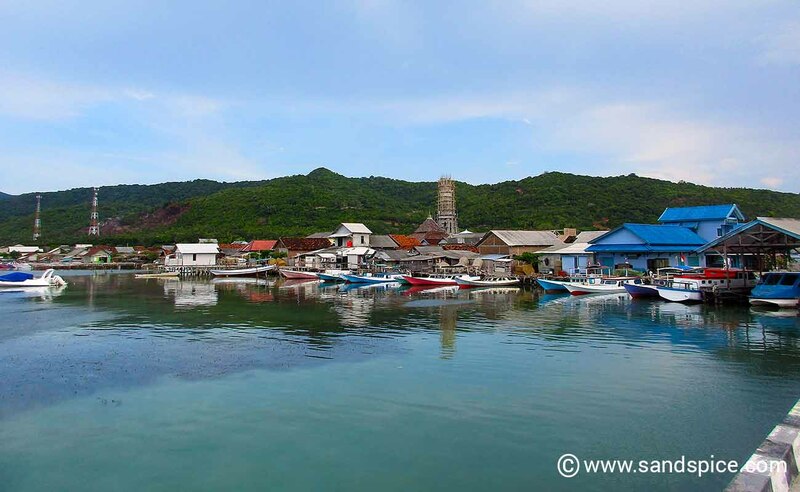 You can also fly to Karimunjawa from Surabaya: Flight duration is 1 hour and 10 minutes.